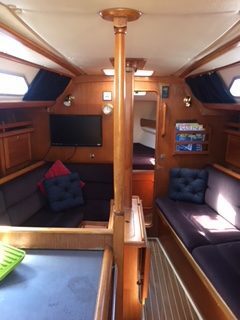 Absolutely fantastic sailing yacht, this is the last Westerly Typhoon built, number TN40, 1993. 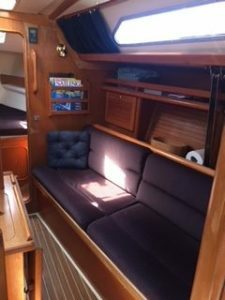 The Typhoon is reckoned to be one of Westerly’s finest built yachts. 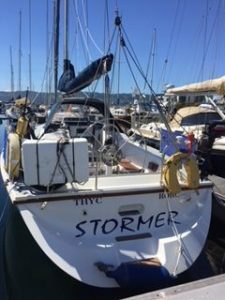 Stormer is in excellent condition for year, and has been well looked after and maintained. 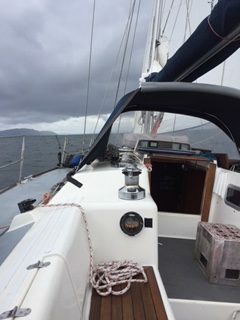 She is a fast and very capable sailing cruiser, and can easily sleep 7/8 people. 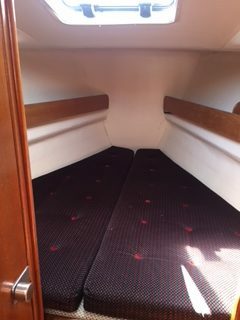 This boat layout is the rear massive double aft cabin with a separate single aft cabin. 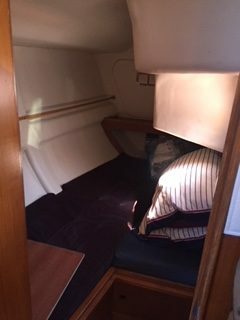 The port diner seat converts to a small double with a single berth to starboard. 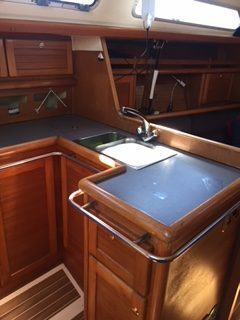 The forecabin has a double berth with ensuite toilet and WHB. 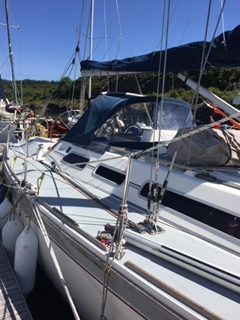 Rigging was replaced in 2009, and all runnning gear is in good condition, as are the sails. 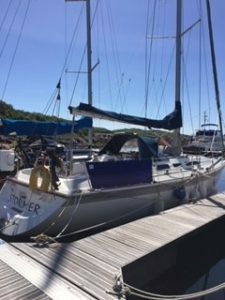 Engine is a volvo 2030B with saildrive. She is just about to come out of the water for new antifouling, topside polish and deck paint. More pictures and a specification sheet can be emailed to prospective buyers. Please contact me by email if interested.